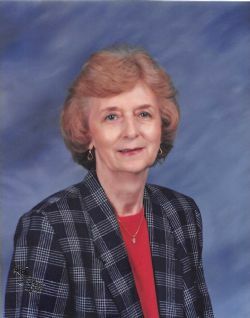 Vermalee (Linn) Kerr, 84, of Buxite passed away Thursday morning at Alcoa Pines. She was born July 21, 1935 in Morganton, Arkansas to the late Odes and Pearl Linn. She was a loving wife and a devoted mother, grandmother (�Grannie�), and sister. She loved tending to everything and everyone; her gardens, humming birds, and friends and family. She was a member of the Pleasant Hill Baptist Church and radiated a selfless Christian love for all people. Visitation will be held at Pleasant Hill Baptist Church, 24310 North Sardis Road, Bauxite, AR 72011 Sunday April 14, 2019 from 1:00 p.m. to 1:30 p.m. The Funeral service will be at 1:30 p.m. and burial will follow at Mars Hill Cemetery in Bauxite, Arkansas. Click Play below to view the Video Memorial for Vermalee Kerr.